MANETs are an emerging type of wireless networking in which mobile devices are connected on an ad hoc basis. They are self-forming and self-healing, enabling peer-to-peer communication between mobile devices without relying on centralized resources or fixed infrastructure, like cellular towers. In a tactical environment often without infrastructure, each dismounted soldier wearing a mobile device connected to the MANETs would act as a connection point in the network. Because MANETs have no central security authority and the topology is quite dynamic, it is a big challenge to have secure communications. In this talk, we will describe some of the potential solutions to address this challenge, including new security methods using distributed trust and consensus algorithm. 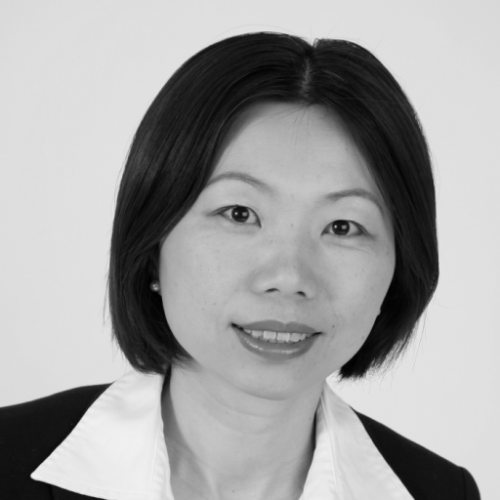 Dr. Helen Tang is the Portfolio Manager – Wireless Cyber Security at the Center for Security Science, Defence & Canada Ottawa, working on cyber security related to connected transporations, connected medical devices, and smart cities etc. She received her Ph.D. degree in Electrical Engineering from Carleton University in 2005. From 1999 to 2005, she had worked in several & organizations in Canada and USA including Alcatel-Lucent, Mentor Graphics and Communications Research Center Canada. From Oct. 2005 to Dec. 2015, she worked as a Defence Scientist at the DRDC-Ottawa on many wireless network security projects including being the C4ISR SME for the Integrated Soldier System Project. She received “Outstanding Contribution Award” at DRDC Ottawa in 2009 and 2016, “Best Paper Award” at IEEE/IFIP TrustCom 2009 and “Outstanding Leadership Award” at IEEE/IFIP TrustCom 2010 She is also an adjunct Professor at the Department of System and Computer Engineering of Carleton University, where she is the supervisor of several graduate students.